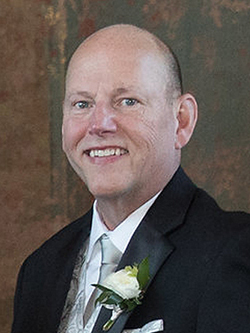 Dr. Kenneth Bruder from the Class of 1975 was involved in sports and the arts while a student at Fridley High School. He was on the basketball team, participated in drama and was in both Chamber and Pops Choirs. Bruder said he particularly enjoyed choir, both because of Dave Ryan, the director, and because it allowed him to spend time with his friend, Kim Christenson, who would later become his wife. It was between his junior and senior years that Bruder was diagnosed with cancer. Because of the major surgery and radiation therapy, he was very ill during his senior year. With his faith, however, he found grace and strength and became determined to persevere in his dream of becoming a surgeon. Following graduation from Fridley High School, Bruder attended Gustavus Adolphus College, where he graduated with a bachelor’s degree. From there, he undertook graduate studies in biochemistry at the University of Iowa. He received his medical degree from Oral Roberts University’s School of Medicine in Tulsa, Oklahoma, followed by a general surgery residency at the University Medical Center in Omaha, Nebraska. From 1990 to 2002, Bruder served the United States in the Army Reserves Medical Corp.
Bruder first practiced as a general surgeon in Mankato, Minnesota, in 1992. In 1994, the Bruder family moved to Neenah, Wisconsin. He continues to provide comprehensive general surgical services, with an interest in vascular, endocrine and advanced laparoscopic surgery, in nearby Appleton. He is also specially trained to perform robotic surgery and specializes in cancer services and thoracic surgery. He is board certified by the American Board of Surgery and is a Fellow in the American College of Surgeons. Bruder has worked with and trained other doctors in Nigeria, Panama and Macedonia. He also hosted two surgeons from Macedonia at his home so they could receive additional training in the United States. He has participated in non-medical missions in Mexico and Costa Rica. An example of Bruder's compassion for helping others was shown when a patient who had just received surgery was going to be alone for Christmas, recovering in the hospital. Bruder brought his own family to the hospital to sing carols to the patient on Christmas Day, a 100-year old woman. Bruder shies away from attention to his awards and accolades. He prefers to focus on his family, church activities and working with doctors in poverty-stricken countries. Bruder and Kim have been married 39 years and are the proud parents of Josiah, Kendra and Jonah. Between their children and their respective spouses, the Bruders have five grandchildren: Brenton, Jeremy, Aubrey, Sophie, and Hailie. Bruder is grateful for the supportive and accepting environment of the faculty and classmates at Fridley. He feels the instruction, particularly in math and sciences, prepared him well for his degree in chemistry from Gustavus Adolphus, leading to his path as a doctor. Joseph Bue from the Class of 1999 was very involved at the high school during his years there. He was a member of National Honor Society, played basketball his freshman year, and was a captain of both the football and baseball teams. His senior year, he was voted most valuable player on the football team and made All Conference. After graduating, Bue attended the University of Wisconsin - River Falls, where he earned a bachelor’s degree in secondary mathematics education. He earned his master’s in education from Saint Mary’s University, and an Education Specialist certificate in principalship from St. Thomas University. Bue returned to Fridley High School in 2004 as a math teacher, working alongside many of the same teachers who mentored him. He also took up the role of coach, as he worked with students on the football and baseball teams he once captained. While at Fridley, he was one of the first staff members trained for the International Baccalaureate Programme. In 2008, Bue was welcomed at Roseville Area High School as its new math teacher. During his tenure as a teacher, he also taught English Learner Sheltered Content Mathematics and was an AVID Elective teacher. Bue received additional training in restorative justice and culturally responsive curriculum. In 2013, Fox 9 News presented him with their Top Teacher Award. This past June, Bue became the Associate Principal at Roseville Area Middle School. While that envelopes a good amount of his time, he also serves as an equity coach and professional learning community lead. He has trained fellow educators in culturally responsive curriculum, AVID, technology integration and instructional strategies. Bue teaches mathematics to Urban Learners–Community Faculty at Metropolitan State’s College of Urban Education. Bue says the thing he enjoys the most about his career in education is working with young people. His goal as a principal is to motivate as well as educate. He hopes to inspire and coach students and fellow educators to improve their current skills to meet their highest potential. Regarding Fridley High School, Bue shares that it was a great place to grow up because it had all the opportunities of a suburban school, but with a small town feel. He felt connected to his teachers and knew all his classmates, and enjoyed a deep sense of community in and out of the walls of the schools. His favorite subject was, of course, math, and his favorite teacher was David Loo, English teacher. Bue married his wife, Jill, in 2005. They have two children: son Troy, who is ten-years old, and daughter Anneke, who is eight. Bue advises current students to get involved in your school! Find a way to connect with staff, students and activities. It will make your formative years more enjoyable and productive. Matt Ehling, 1989 graduate of Fridley High School, has been a producer of television documentaries for over two decades. He began his training both in the high school theater’s light booth and working for Fridley Cable Access Channel 33. Following graduation, Ehling received a Bachelor’s of Arts degree from Metropolitan State University. He set out on an illustrious career that has taken him throughout North America, the Virgin Islands and Cuba. Ehling’s television work has been seen on PBS. His work has explored diverse life experiences, ranging from police ride alongs with the Baltimore homicide unit, to witnessing the aftermath of 9/11. He has covered a variety of notable events, such as presidential primaries and national political conventions. 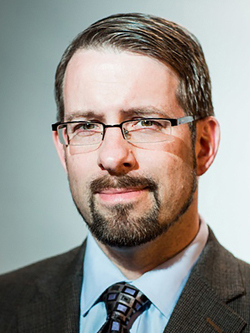 Ehling has written both news and opinion pieces since 2007, covering topics from President Obama to the digital culture and its future on American privacy. His writings have also appeared in the Pioneer Press and Twin Cities Daily Planet. He is a frequent panel guest on television and radio stations, and at film festivals. Ehling has served as a guest lecturer on film production for institutions such as the Minneapolis College of Art and Design, University of St. Thomas, the University of Minnesota and Minneapolis Community and Technical College, where he has also served as an adjunct faculty member. 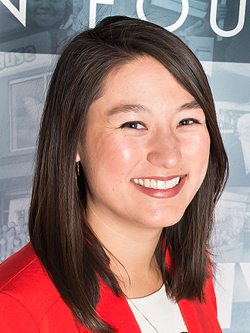 Since 2013, Ehling has been a partner and treasurer of Twelve Plus Media, a communications company based out of Saint Paul, whose clients include TPT Television, Medtronic, Xcel Energy, the University of Minnesota and the National Geographic Channel. Based on his career, Ehling has devoted several years of volunteer work toward research, litigation and nonpartisan policy advocacy. His goal is government transparency and accountability. He has had the fortune of working with individuals and lawmakers from across the political spectrum on freedom of information laws, search and seizure policy, surveillance policy, oversight of government spending, and related issues. This work has taken various forms, including deep engagement with open records requests, open records lawsuits involving state and federal agencies, and advocacy at the Minnesota Legislature. Ehling has been a part of both civil and religious organizations in Saint Paul - from St. Paul Neighborhood Network to Central Presbyterian Church - to help improve community life in the east metro through volunteer activities and charitable work. In 2012, Ehling was recognized with the coveted John R. Finnegan Freedom of Information Award. The award is given to those individuals and groups who demonstrate, through expression and action, commitment to the idea that a popular and democratic government can never realize the aspirations of the founding fathers without the participation of an informed electorate. Ehling and his wife, Cheri, have been married for 17 years. They are the proud parents of 12-year old son Joe. Looking back on where it began, Ehling recalls his favorites teachers as Duane Georgias, who taught English, and Gary Zehnder, theater director. He views high school as a formative period when a person's understanding of the world is just beginning to solidify. He advises current Fridley student that a critical trait for success in life is dedication to a cause, tempered by caution and self-examination. These may appear to be at cross-purposes, but their co-existence is essential. Being a zealous advocate for what you want to see happen in the world is necessary to achieving it. Pursuing your aims while watching for one's own errors and faults is necessary to avoid collateral consequences. Dr. Kendall Heitzman, a 1991 graduate of Fridley High School, has built an impressive career based on his world travels and exploration of other cultures. Heitzman had grown up in awe of the big theater presentations on the stage of Fridley High School. But by the time he got there, he was doing quick costume changes to play various roles in Little Shop of Horrors because there weren't enough people to play all the parts. During his senior year, he wrote the winter one-act play that was staged. Heitzman attended the University of Minnesota - Morris, and then Northwestern University, where he earned a Bachelor of Science in Speech for a double-major degree in Theater and English. At Johns Hopkins University, he added a Master of Arts from The Writing Seminars. Heitzman took a master's in Comparative Literature from Dartmouth College before going on to Yale University, where he earned a PhD in East Asian Languages and Literatures. 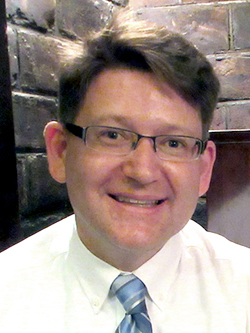 Over the years, Heitzman has enjoyed teaching and researching at a number of colleges, including Carleton and Macalester in Minnesota, and Nihon and Waseda Universities in Japan. He started learning Japanese when he was 26, and has lived in Japan for about 8 years all together. Along the way, Heitzman studied the Japanese tea ceremony and worked on staff at the Yamagata International Documentary Film Festival, and studied kyogen theater. He is one of the very few foreigners who has been given the chance to perform on the stage of the National Noh Theatre. At the University of Iowa, Heitzman teaches Japanese literature, film, theater, and translation. Since arriving at the university in 2012, he has been able to bring Japanese novelists, poets, artists, filmmakers, and translators to campus. His students often translate the work of contemporary Japanese writers who stop by the class to answer questions about their stories and perform bilingual readings of the work on campus with the students. 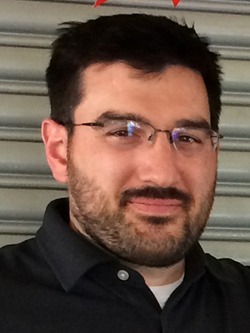 Heitzman researches postwar Japanese literature and film, with a particular interest in how World War II is remembered in Japan. He has written articles on contemporary women writers, Japanese travel TV, and parallel-world stories, and has published translations of stories by a number of writers who have come to Iowa City in the last few years. He is currently working on a book about the postwar writer Yasuoka Shotaro, to be published by Vanderbilt University Press. He has fond memories of participating in marching band, where he was drum major his senior year. He thought the pep band should play more than just football and basketball games, so they showed up at swim meets and other unlikely places. His favorite Fridley memory (perhaps because he has a son in kindergarten now) is of Miss Sievers bringing her giant pet turtle to Kendall's kindergarten class. Heitzman met his wife, Yuri, through mutual friends in a small town in Japan they both happened to be visiting at the same time. Their son, Kaoru, is five years old and loves to play the piano, draw, sing, and dance. Allison Johnson Heist, of Fridley High School’s Class of 2003, was as active in a number of activities that benefitted others while a student: National Honor Society, Student Council and Key Club. In addition, she was on the swim team. Johnson Heist graduated from the University of St. Thomas with a bachelor’s degree in Justice and Peace Studies in 2007. She took part in a Metro Urban Studies Term at the Higher Education Consortium for Urban Affairs. In addition, Johnson Heist participated in a semester study-abroad program focused on Sustainable Development and Social Change in Guatemala, El Salvador and Nicaragua. She is currently working toward a master’s in Leadership for Social Transformation from the United Theological Seminary of the Twin Cities. Her experiences led her to work as a community organizer around issues of justice in immigration and housing at the local and national level. Johnson Heist served as campaign manager for Sojourners in Washington, D.C., advocating for just and compassionate reform of our broken immigration system. She led efforts to raise awareness of the issue of housing instability and homelessness as a congregational partnership organizer for Beacon Interfaith Housing Collaborative. While at Beacon, she worked alongside faith communities to build support and raise public and private resources to create the first affordable housing development for homeless youth in Edina, called 66 West, which supports 39 young adults in Hennepin County with housing, supportive services, job coaching and life skills. Today, she is the Senior Program Officer at Headwaters Foundation for Justice, Johnson Heist enjoys making a tangible difference in her community. Every day, she connects with people about their values and talks about how to financially support organizations that are invested in a more equitable and just Minnesota. A few examples include coaching non-profit leaders to be more powerful and effective or facilitating conversations about how to tackle the major injustices that affect our state, like the lack of affordable housing and persistent racial disparities. Staying true to her commitment to serving others, Johnson Heist is a board member for Resource Generation, Exodus Lending and Trinity Apartments. She has been involved as a Racial Justice Facilitator at the YWCA of Minneapolis and as a Ron McKinley Philanthropy Fellow with the Minnesota Council on Foundations. She also held a community faculty position with the Higher Education Consortium for Urban Affairs. Reflecting on her time at Fridley High School, Johnson Heist said she had many opportunities to develop as a young leader. Her passion for making the world a better place was encouraged by teachers and administrators, and she was challenged in and outside the classroom to think critically and to engage with others across lines of difference. She learned her voice mattered and that she could play a role in shaping the future for others if she stepped into her own power. Johnson Heist says Fridley High School taught her the value of community and belonging, which is something she carries into her work and life today. Her favorite memories of Fridley High School were Homecoming Weeks, including the parades, Powder Puff game, spirit days, football game, and Homecoming dance. And her favorite teacher was the incomparable Ms. Rintala! Johnson Heist is married to Kevin Heist, and they reside in Minneapolis. Johnson Heist's advice for current Fridley student is don't be afraid to try something new! Now is the best time to experiment and get out of your comfort zone. Take that art class or join a new sport or club this year. Challenge yourself to do something that seems a little scary. You'll be better for it! 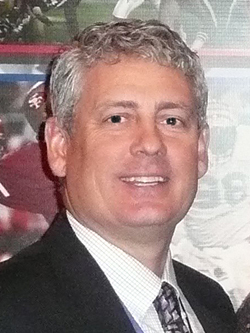 Jeff Seeman from the Class of 1981 was a noted athlete, participating in varsity football and golf. Perhaps inspired by his own father, Jerry Seeman, who officiated over the NFL gridiron from 1975-2001, he decided to take on officiating roles when he was a junior at Fridley High School. He began with the men’s basketball league games at the middle school, where the teachers would play the police department. Seeman attended the University of Minnesota, where he earned a bachelor’s degree in accounting in 1985. He would begin over 32 years in the financial services industry. In 1990, missing the action of the field, Seeman began officiating junior college football games. From there, he moved onto working Division 2, then Division 1, match ups. In 1999, he had worked his way into the Big Ten for three seasons. It was in 2002 that Seeman was invited to join the NFL officiating staff. In the NFL, he has worked in 12 post season assignments, including Super Bowls 44 and 51. He now also works with newer officials to train and develop them, much as his dad did when he began. The fall of 2018 marks the beginning of his 17th season, all while still holding on to his main career as a financial advisor. He says his work as an investment advisor mirrors football; the financial markets are new and different every single day. As a line judge in the NFL, every play in every game is unique. Looking back at his days growing up in Fridley, Seeman recalls Mr. Loo’s energy, enthusiasm and humor as meaningful to him. He cites the quality of Fridley education, explaining that of his eight closest friends, only four went to college. The other four have had every bit of success without college based on the schooling they received here. Seeman and his wife, Colleen, married in 2009 and reside in Chaska. They both can be found frequenting area golf courses, including championship wins at Hazeltine in July of this year. To today’s students, Seeman says face-to-face interaction skills will impact your trajectory in the long term of your career. Don’t send a text from your office cubicle – go see the person down the hall. So much of communication is lost in texting words versus the inflection of your voice. The 1985 Baseball Team was selected for the Fridley Circle of Excellence because they exemplify the Fridley Activities Mission “…to inspire and develop excellence.” Perseverance, teamwork, commitment, and passion were some of the character values embodied by this team. They used a season of ups and downs as building blocks to catch fire in the post season and capture the hearts of not only their classmates, but the whole Fridley community. This was Fridley’s first year in the North Suburban Conference and the strength of their conference schedule prepared them for post season play. Fridley ran off a series of victories in the post season to finish their magical season as the 1985 MSHSL State Baseball Class AA Runner-up!